Sharon, of Barefoot Bridal, a destination wedding travel agency, has been amazing with helping us with all the booking details. Sharon has worked with the hotel to secure a group rate with the Dreams Palm Beach and to help all of our guests book their travel accommodations for our wedding on DATE. Dreams Palm Beach is an all inclusive AM Resort on Cabeza de Toro, in Punta Cana, Dominican Republic. It is approximately 15 minutes from the Punta Cana airport. Dreams Palm Beach combines understated sophistication with Unlimited Luxury amenities. Enjoy the many amenities of Unlimited-Luxury at Dreams Palm Beach Punta Cana, where nearly everything is included. Every gourmet meal, every fine wine and cocktail, and so much more. 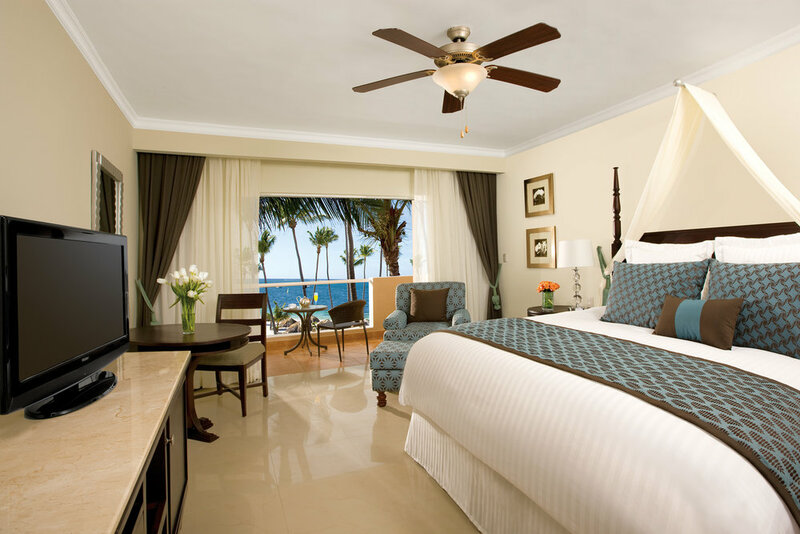 Dreams Palm Beach Punta Cana features 500 family-sized guest rooms and suites with luxury amenities for your comfort and convenience. Each suite comes with a balcony or terrace. The Preferred Club rooms are in a separate section and include these added privileges: personalized check-in and check-out with concierge service, access to private lounge and pool area, upgraded mini-bar and luxury bath amenities, daily continental breakfast and afternoon hot and cold hors d'oeuvres in private lounge, complimentary internet access in room or suite, and more. Children 2 and under are free. Children 3-12 are $ per child per night, for all room categories that allow children. 442 sq ft room with private, furnished balcony and lovely tropical or pool views. King or Two Doubles. 442 sq ft room in a preferred location with marble floors, contemporary decor, a private, furnished balcony and lovely tropical or pool views. King or Two Doubles. 442 sq ft room in a preferred location with marble floors, indoor jacuzzi, a private, furnished balcony and lovely tropical or pool views. King bed only. 442 sq ft room in a preferred location with spectacular ocean views, marble floors, and a private, furnished balcony. Two Doubles only. 442 sq ft room in a preferred location with spectacular ocean views, marble floors, indoor jacuzzi, and a private, furnished balcony. King bed only.